Tripod Stand Selfie Stick Just $21.99! Down From $100! 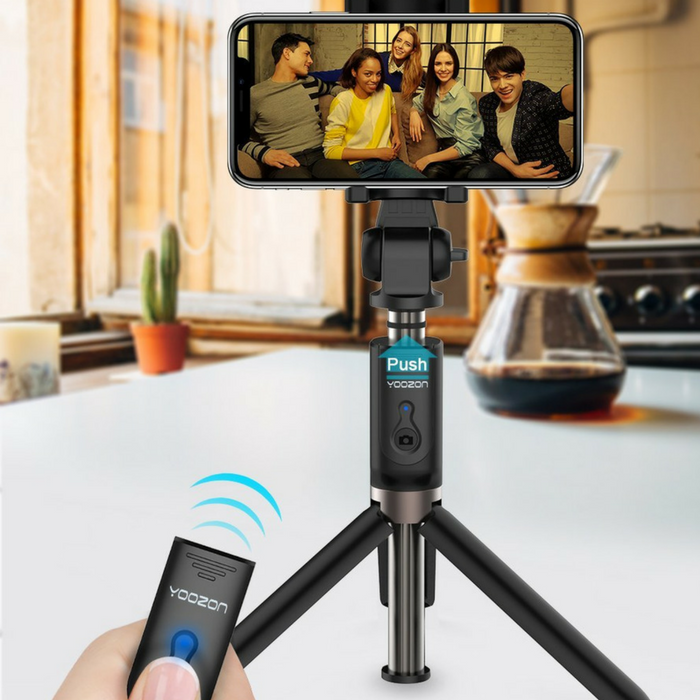 You are here: Home / Great Deals / Amazon Deals / Tripod Stand Selfie Stick Just $21.99! Down From $100! Check out this Tripod Stand Selfie Stick which is on sale at Amazon for only $21.99 down from $99.99 PLUS FREE shipping with Amazon Prime or for orders $25 or more! This selfie stick is made of top quality materials such as space aluminum alloy and anti-slip rubber tripod. Every individual part of each selfie stick made, has to be checked in accordance with ISO standards before shipping. An essential item to take on your holidays or days out – YOOZON multipurpose selfie stick, lets your memories stay in that moment. 【HOW IS THE TRIPOD INTEGRATED AS ONE?】Gently slide the WIRELESS REMOTE from stick (at the “YOOZON” logo part).It takes 3 seconds to make the TRIPOD appear just simply unfold the bottom part of the selfie stick. Ingenious design which makes the tripod open or close in one step. Fantastic way to start your selfie happiness.